Please ensure you have successfully connected to a Hyperledger Fabric blockchain via the Hyperledger Fabric App. If you're new to Clause, follow the getting started guide. Otherwise, you should add a Smart Clause® to your contract that emits an obligation, for example, 'Full Payment Upon Signature' or 'Fragile Goods'. The obligations that a Smart Clause emits are listed in the smart clause details window. 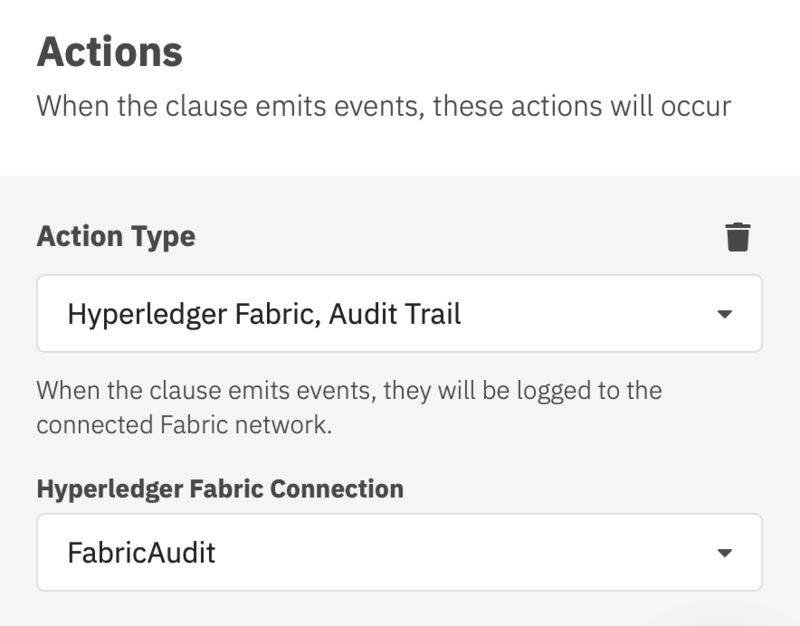 Configure your Smart Clause's Action to use Hyperledger Fabric, Audit Trail Action. Simply select the FabricAudit connection in the drop down. Remember that Actions are only processed when your contract is running. 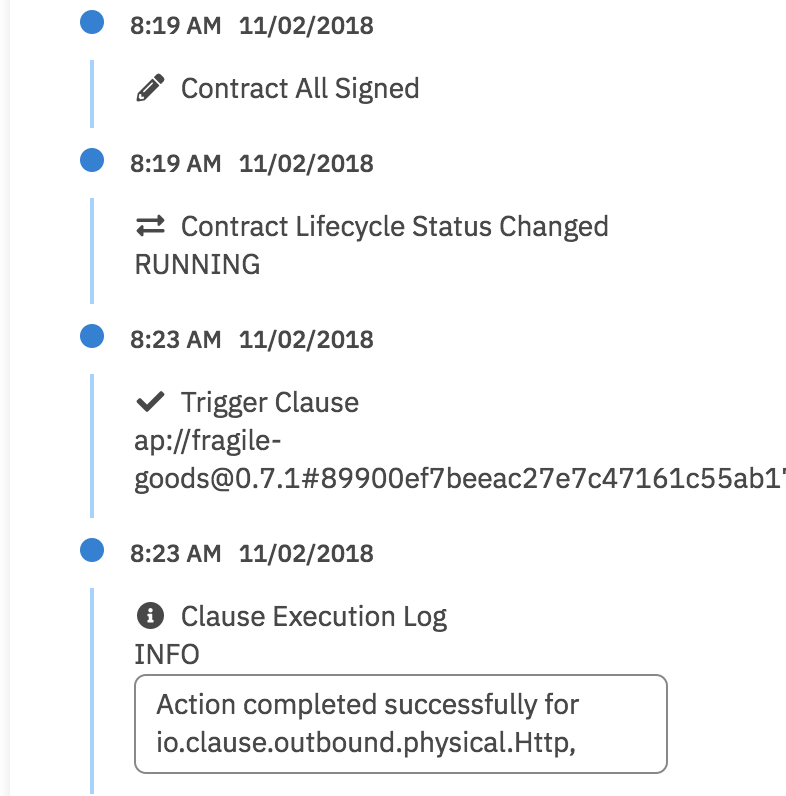 Contracts are running once all signatures have been received. Full Payment upon Signature is triggered automatically when the seller signs the contract. Validate that your Smart Clause has emitted an obligation in the Timeline. You can then use the Blockchain Explorer of your chosen platform, or inspect the peer or chaincode container logs to verify that the audit trail JSON event has been written to the blockchain. Please refer to the Audit Trail Event Format reference for more details on the format of the JSON.